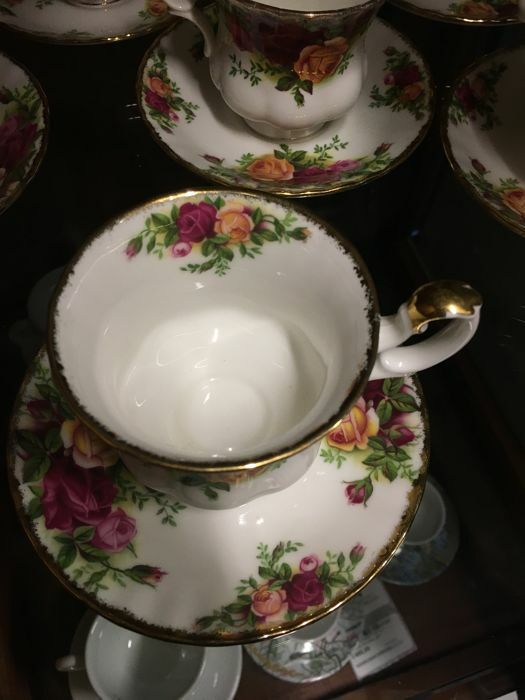 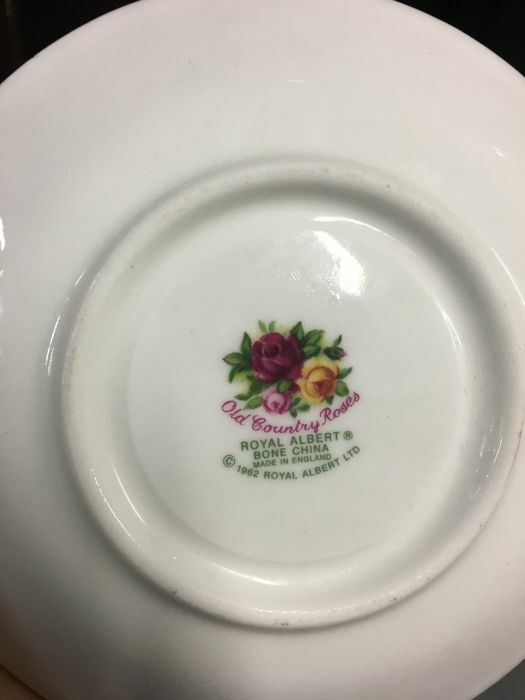 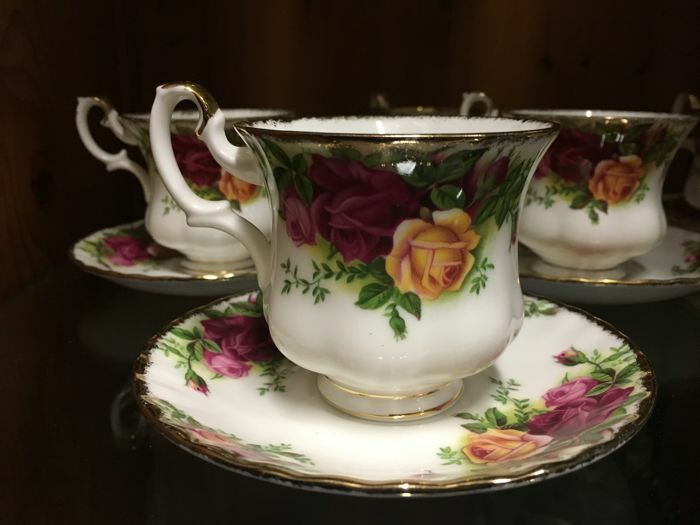 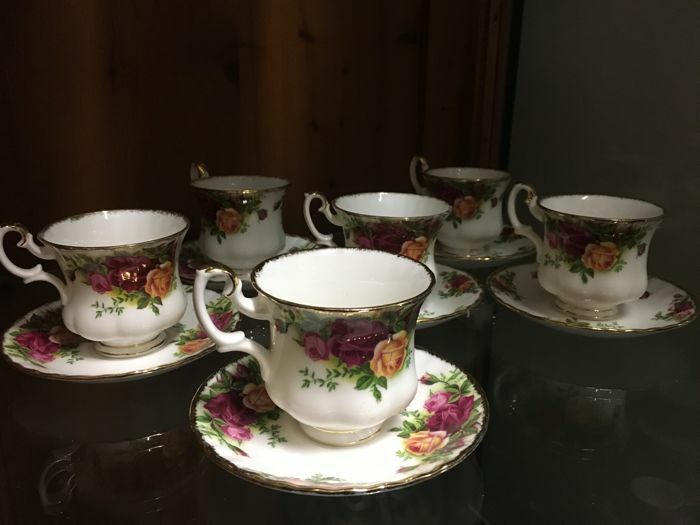 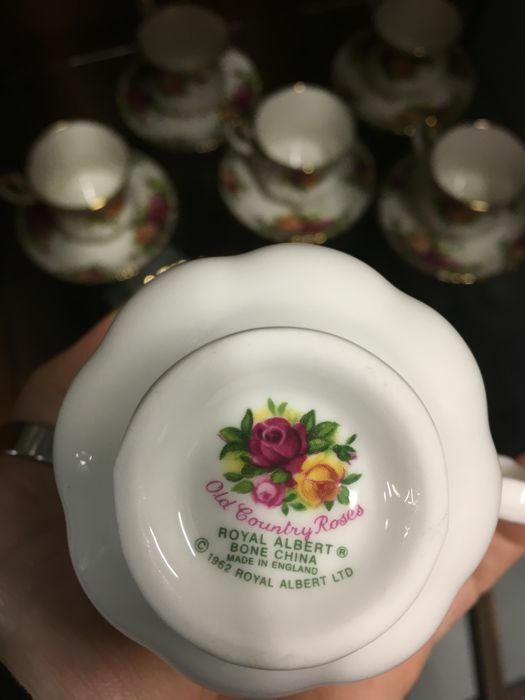 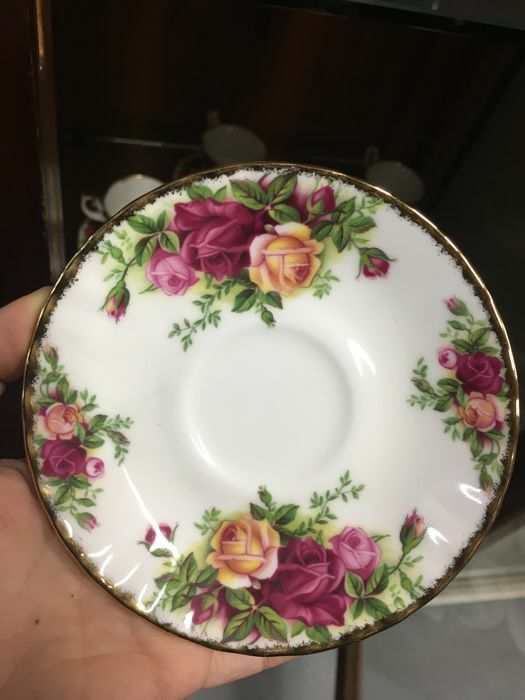 Set of 6 Royal Albert bone china cups, 'Old Country Roses' design. 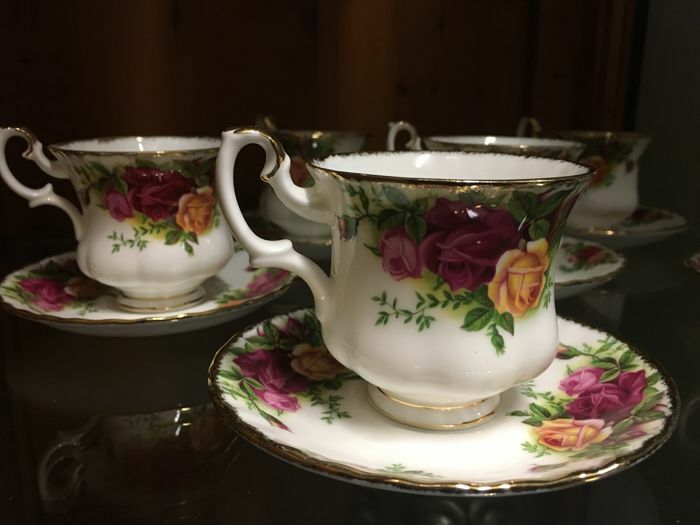 The set has never been used, only stored in the display cabinet, and in perfect condition. 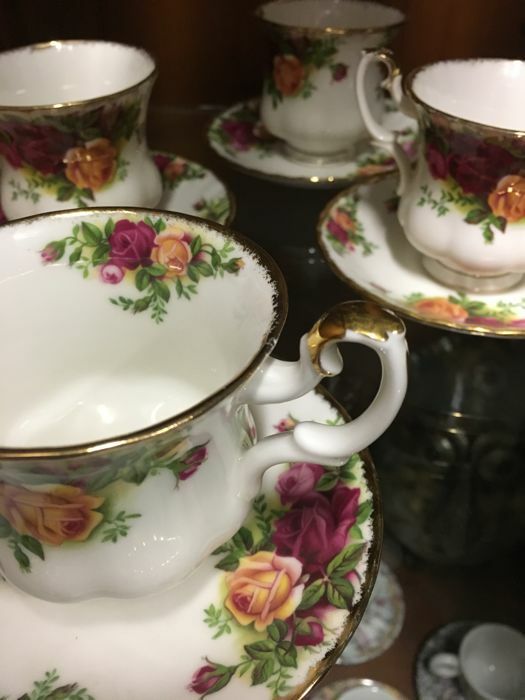 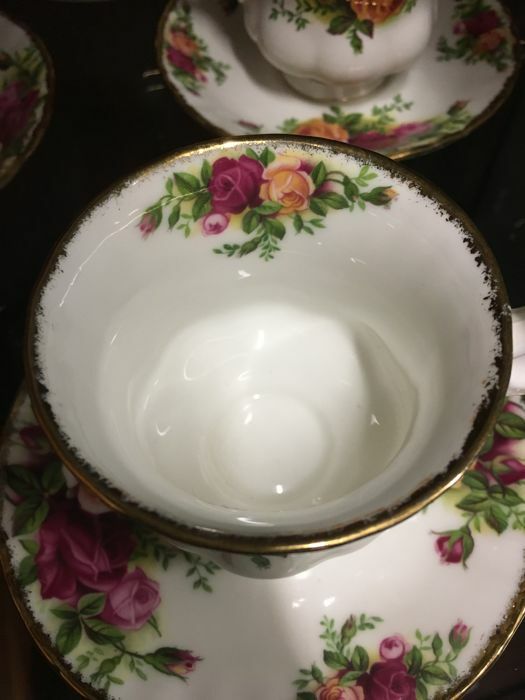 Bone china is the strongest of the porcelain ceramics, and is well known for its high levels of whiteness and translucency.